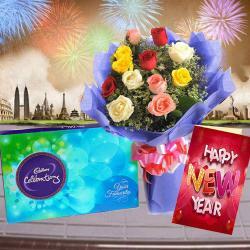 Product Consists : Bouquet of 15 Mix flowers Gerberas, Roses and Carnations with fillers in a Cellophane wrapping, Cadbury Celebrations Chocolate Box (Weight : 118 gms) along with New Year Greeting Card. 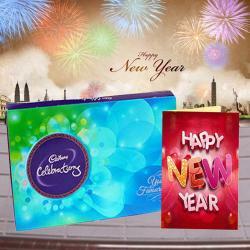 Cadbury Celebrations chocolate Box is not only delectable chocolate Box but also a bundle of joy and happiness. These chocolates are made in such a way that they melt in the mouth to melt hearts. 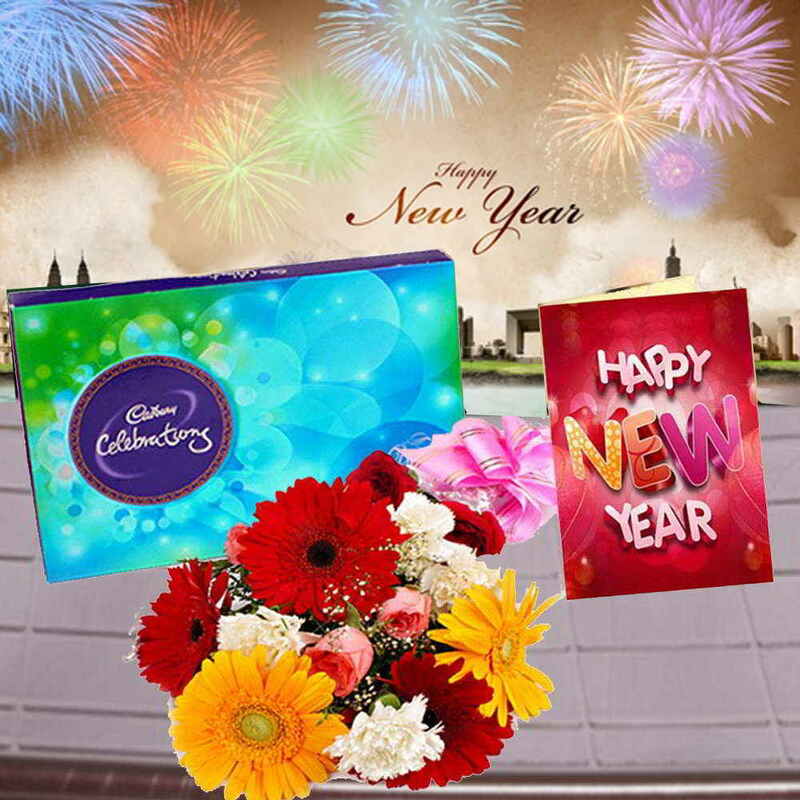 Along with Cadbury celebrations chocolate, we have put together mix flowers of Gerberas, Carnations and Roses and a New Year greeting card. 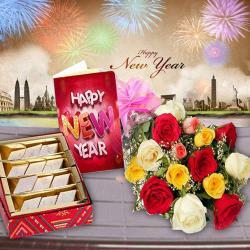 Order it right away for the ones near to your heart to make their celebrations memorable. 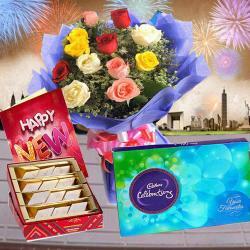 Product Consists : Bouquet of 15 Mix flowers Gerberas, Roses and Carnations with fillers in a Cellephone wrapping, Cadbury Celebrations Chocolate Box (Weight : 118 gms) along with New Year Greeting Card.